Blackline Safety’s team of managers and designers share a long history of dedication to innovation and technology that is unparalleled in the safety industry. 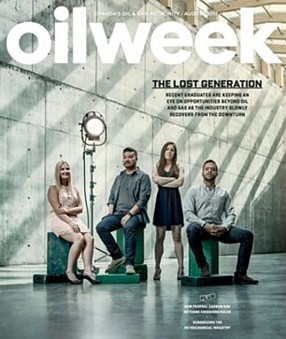 Looking to Repeat, an article researched and written by Maurice Smith at Oilweek Magazine, dives into Blackline’s technology-driven strategies that produce solutions to a myriad of industry challenges. “The management and design team that brought the industrial world a new generation of worker safety devices manufactured out of Calgary is back together, doing to portable gas detection what the smartphone did for consumer communications”, said Mr. Smith. Cody Slater, CEO, and Mr. Barry Moore, VP of Product Development, explain how connectivity and customizability are the key differentiators for modernizing safety monitoring and gas detection. This informative editorial provides an insightful chronology of successes, leading up to what is now Blackline Safety, and how the company continues to define new levels in safety technology. Click to read the full article. Contact us to find out how Blackline's safety solutions can help make a difference in your safety program. next post »Considering a Wi-Fi gas detector?